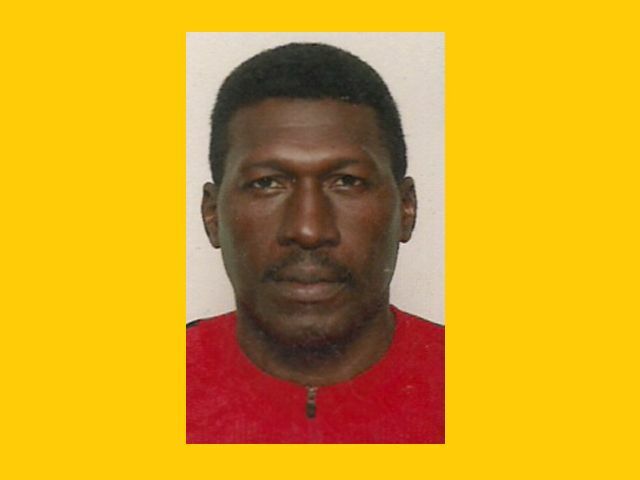 ROAD TOWN, Tortola, VI – Accident victim Bernardino Richardson, 51, of the Dominican Republic is expected to be laid to rest next Tuesday, January 8, 2013. Richardson died in a horrific smash-up on December 11, 2012 at West End. Richardson aka ‘Palo’ died after his vehicle, a Kia motorcar, collided with a Pathfinder SUV a short distance away from the West End Police Station on what had been a very rainy day last December. Richardson was the lone occupant of the vehicle at the time of the accident. The driver and passenger of the other vehicle reportedly suffered broken bones in addition to a few minor injuries and were reportedly treated at Peebles Hospital and discharged. According to sources close to the family of the deceased, there will be a memorial service at Davis Funeral Home on January 7, 2013 before Mr. Richardson's body is taken to Santo Domingo. Several members of the family are expected to accompany the body back to Richardson’s native land, Dominican Republic for funeral on the following day. Since the accident, it has been revealed that family members have been left with more questions than answers regarding specifics on how the construction worker met his death on that fateful day. Sources suggested that police have not fully completed their investigation into the accident and are yet to send a copy of their report on the accident to Richardson’s immediate family residing on Tortola. According to a source, Richardson was revealed to be the only brother to a sister who resides in the Territory. When contacted by this news site, members of the family expressed that they were still distraught at this time and were trying to focus on adding closure to the death of a close family member, which has dealt a heavy blow to relatives. WEST END, Tortola, VI- Another life has been lost in yet another horrific accident on the roadway within a week following a two-vehicle smash-up at West End yesterday, December 11, 2012. The deceased, Virgin Islands News Online Understands, goes by the name ‘Palo’ and is said to be from the Dominican Republic. He was reportedly the driver of the car with license plate PV 0635 that collided head-on with an SUV with license plate PV 11790. 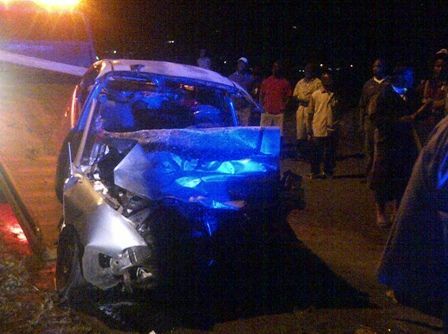 ‘Palo’ reportedly died on the scene of the accident, which occurred sometime around 6 P.M. 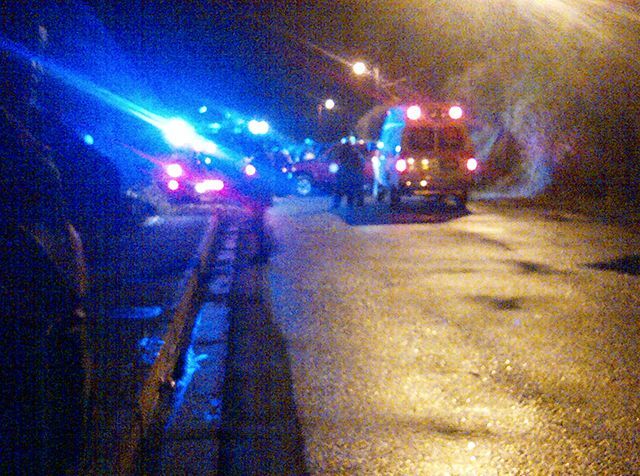 The driver of the SUV, a male identified as Dion Rhymer, reportedly suffered broken legs. The extent of injuries to a female passenger of the SUV is not known at this time. Both are patients at Peebles Hospital. According to reports, the car driven by ‘Palo’ was heading west when it came into contact with the SUV, which was heading in the opposite direction. The accident occurred some distance away from the West End Police Station. Both vehicles ended up on the same side of the road, which was the lane the SUV should have been using. Firemen had to cut the body of ‘Palo’ from the wreckage that remained of his car. Traffic on the highway came to a standstill for nearly two hours until the body was finally removed from the scene, just when the large crowd that had built was getting agitated. Police, in a press release today, said it is investigating a two-vehicle traffic collision that occurred yesterday afternoon around 5:45pm near the West End Police Station which has left one driver dead. "Upon arrival at the scene, Police observed a Kia motorcar PV0635 facing west and a Pathfinder jeep PV1170 facing Road Town. The male driver and sole occupant of the Kia, Rafael Bernardino Richardson, 51, a native of Dominican Republic, who resides in West End, was met trapped behind the driver’s wheel and motionless. 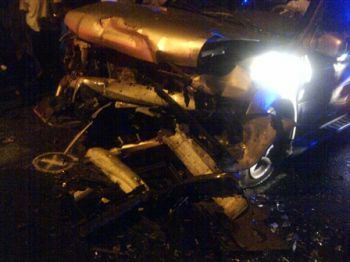 He was extricated from the vehicle by Fire and Rescue Officers and pronounced dead at the scene," the release stated. Only on Tuesday December 5, 2012 fire officer Akeem Moses, 29, lost his life in a horrific accident on the James Walter Francis Highway around midnight. The accident involved a Pathfinder and a red sports car with license plate PV 12575 in the vicinity of Supa Valu Limited and Festival Grounds. From all indications, the car was heading down the wrong way going east on the western carriageway. The eastbound carriageway was blocked from the roundabout. 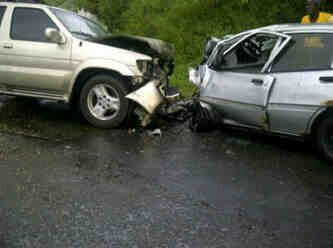 The vehicles reportedly collided head-on and ended up on the same side of the road. According to a man on the scene, both drivers tried to evade the impact but ended up pulling to the same side of the road. Officers of the Virgin Islands Fire and Rescue had to cut the body of Moses out of the wreckage. 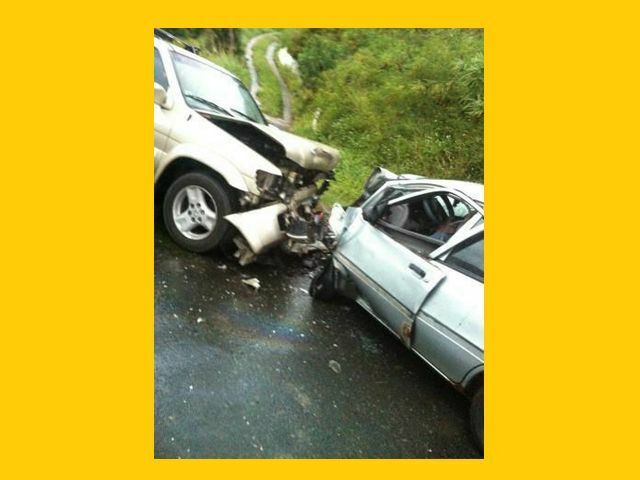 Reports reaching this news site indicate that a fatal two-vehicle smash up occurred in West End around 6PM today, December 11, 2012. Sources revealed that several fire trucks and other emergency vehicles were seen racing to the scene of the accident which was said to be in the vicinity of the West End Police Station. The accident involved a motor car and SUV. The victim's name was given as Palo and he is said to be from Santo Domingo. Police have since re-opened the roadway which was previously cordoned off following the accident and forced all traffic to a halt. Virgin Islands News Online will bring you further updates as this story unfolds. This is the second fatal accident to occur within recent days following the death of Akeem Moses around midnight on December 5, 2012. RIP my dear....Blessed Healings to the family. Be Strong..
but pople can be driving slow and still hit up so what is the real point? very value POINT to "point"
The slower you drive the less damage you sustain at the point of contact...thats the point. The island is only but sooo big, where de hell people have to speed to go so??? The point is when driving slow you have better control over the vehicle and even if there is an accident it is less likely that one will their life, got it? People, please slow down, especially when it is raining. A lot of these accidents can be avoided if we just take our time on the roads. Condolences to the family and friends of Palo, such a tragedy. Rest in peace young man. To all others, please be careful on the roads! Remember, excessive speeding are generally light cars and not the easiest thing to control, especially with bad road and weather conditions! May he rest in peace... People, be very careful on the roads, we are entering xmas seas and this ah leap year..
My sincere condolonces to the man's family. Losing a loved one, can never be accepted no matter how hard we try. Condolences and Heartfelt Sympathy to the Family. This is so sad. My condolences to man and family. May his soul rest in peace coming so soon after what happen over the weekend. just because it is a straight away doesn't mean it is an invitation to go fast. Many stupid drivers use that stretch to pass speeding. Don't do it..
"Many more will have to suffer, many more will have to die" I'll tell you why. We drive like idiots--all the bleeping time, and we always late. Wet roads, tired, sleepy, a drink or two under the belt, bald tires inexperience; did I mention speed? Okay speed or any combination of the above, is a surefire recipie for creating grieving parents, relatives and friends. the man just got his first car and now this. He was no harm to anyone, he was a well respectful man and he will be truly miss. My Condolenes go out to the this man family and the other two persons who was in the suv. May God Bless and Comfort you at this time. My family and I will keep you in our prayers. Always remember this road we ALL are travelling on, we just don't know when it's our time to get off! Funny how someone lost their life and 2 are injured and all you people can find to do is bad talk the people girl children. I know that young lady and she is one the sweetest people I know. A speedy recovery to you both and condolences to the family of the person that died. Smh... Yall tola ppl are really something else. Nothing better to do than slander name ! Wowzer got to your a relative of hers...Nobody slandering nobody name...if she blighty she blighty...if she blighting the man she blighting the man. Truth is truth....the man got injured 2 times with her dat mean something ain right/ adding up with she. Misson Muck KEEP FROM HER..if you ain hear now, see, liisten or learn from this second strike you need licks. This was a wake up call and the lord telling you to STAY AWAY. this one hurts like hell..he was a good man..damn..just here working to support his family back home!R.I.P Raphie..
We miss you so much tio felio ;-( ;-( .....todavía me duele saber que te has ido :-(.... all the memory we have of you will warm our hearts. Thanks to those who give us condolence. As I was reading through the comments some are nice and comforting but some are from persons who spoke without a caring heart but we will be strong because the Lord is our strength and salvation. God I ask that you be with my mom this is hard for her but I know that you will comfort her. God told us to have faith. God I thank you for being here for us now as we mourn. I know that everything will be okay because you said in Matthew 5:4 “Blessed are those who mourn, for they shall be comforted. R.I.P mi Tio Felio I miss you. i need to meet up with u i need to know how to get in contact with raphie family..
What a terrible way for that family to start the year.